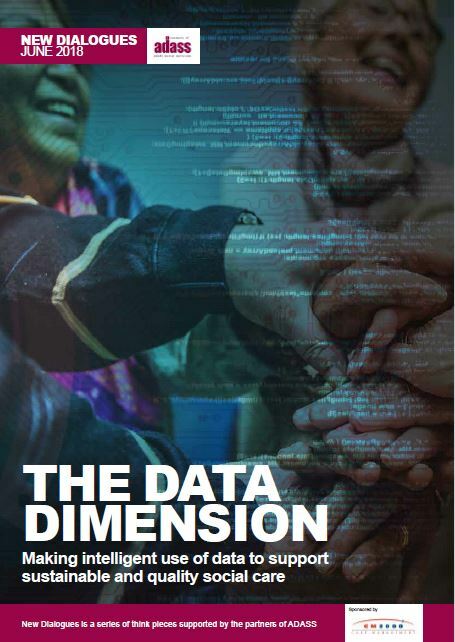 From time to time ADASS produces substantial documents, usually but not necessarily through its Policy Networks, establishing fundamental policy lines on discrete areas of our work. These publications, usually prepared or otherwise commissioned by serving directors, are influential both in helping central and local government develop their own policy lines, and in setting a benchmark against which other organisations can test their own ideas. In a new think piece, Adult social care leaders explore the pros,cons and challenges of tech-enabled care at the Tunstall Roundtable. Response and recommendations from the task & finish groups looking at the role of the DASS and social workers in disaster recovery. How can technology, commissioning models and service integration help deliver the adult social care system of tomorrow? To find out, ADASS and Younifi recently held two roundtable discussions of adult social care directors. Social care provides care, support, and safeguards for those people in our communities who have the highest level of need and for their carers. Social care has value in its own right in transforming lives as well as being critical for the sustainability of the NHS. The inter-dependency of health and social care is now well recognised. ADASS has consistently demonstrated its commitment to work collaboratively with the NHS at local, regional, and national levels for the benefit of local people, particularly older and disabled people. 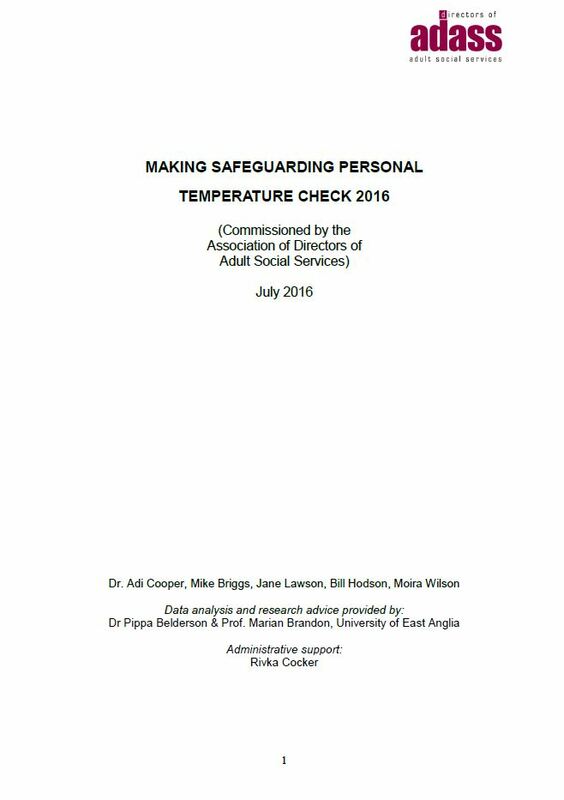 In 2016, the Association of Directors of Adult Social Services (ADASS), the Local Government Association (LGA), NHS Clinical Commissioners and the NHS Confederation published ‘Stepping up to the place’. 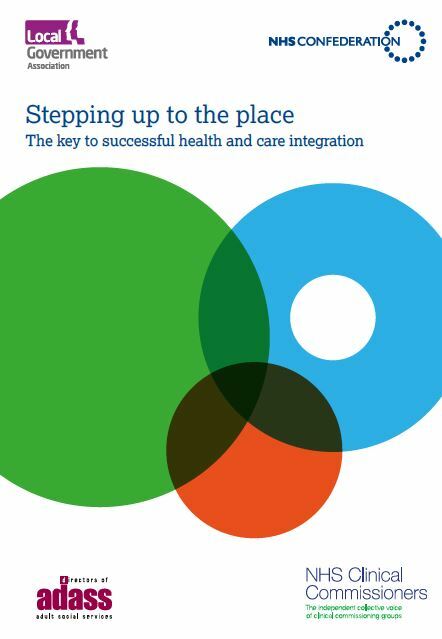 This set out our shared vision for transforming health, care and wellbeing and the key actions that national and local organisations should take to successfully integrate health and care. Now, in 2018, joined by NHS Providers and the Association of Directors of Public Health (ADPH), we have refreshed our vision and action priorities to make sure they remain relevant for the next phase of transformation. 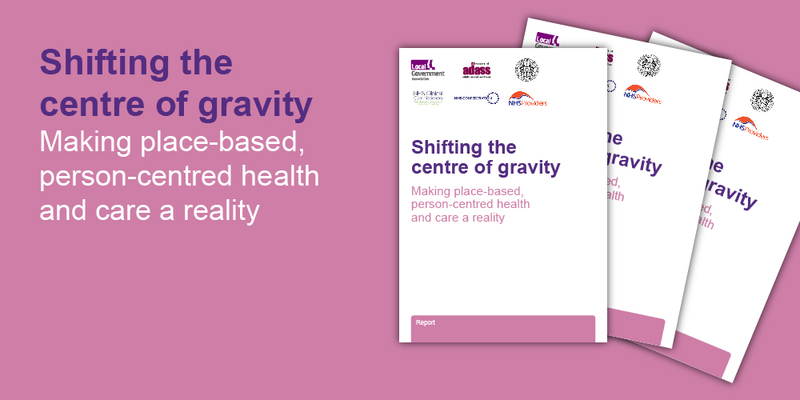 The refreshed vision is based on a wide-ranging review, including a study of progress since ‘Stepping up to the place’ and the implications for our original vision, commissioned from the Institute of Public Care (IPC) at Oxford Brookes University. To summarise recent concerning trends in the increased use of residential and nursing home care and reduced support in the community that raise issues about outcomes for individuals, including their safety, consumer, legal and human rights, and the operation of the market.To set out policy and practice issues that local authorities should consider in admissions to residential care, both for short and long term care; the use of reablement and intermediate care; discharge to assess models and the operation of hospital discharge processes.To remind Directors of the core elements of good practice in both commissioning and social care practice, based on statutory requirements and the human and other rights of people with care and support needs.Recognising that local systems of health and social care are likely to face another difficult winter, to summarise the arrangements that should be in place with local system partners in the NHS and independent sector about how these pressures will be jointly managed in terms of capacity, resources and inter-organisational and professional collaboration. This guide explains the role of the Safeguarding Adults Board chair, including the functions of the role, the knowledge and skills needed and how chairs can develop their knowledge and skills. It supports adult social care employers and other agencies which are represented on Safeguarding Adults Boards, to develop a chair’s role (including writing a job description), recruit a chair and support their continuing professional development and learning requirements.It’s been developed by Skills for Care in partnership with the Local Government Association and the National Network for Chairs of Safeguarding Adults Boards.It brings together information and documents from local Safeguarding Adults Boards and other relevant bodies. You can find a list of these at the end. This survey was undertaken to garner views from across councils in England about in-year pressures on adult social care budgets. The results of the survey will provide vital evidence ahead of the publication of the government’s Adult Social Care Green Paper, the 2019/20 Spending Review and the NHS Long-Term Plan.ADASS circulated a short survey to all 152 directors in England. The survey was open for two weeks from late September into early October 2018 and 97 (64%) directors responded. The ADASS Associates Partnership agreement is downloadable below for members with an interest in these agreements. As an employer, commissioner of services, and strategic partner in the health and social care sector, Local Authority Directors have a key role to play in supporting people who experience mental distress and ill-Health to retain, and gain employment. These top tips to support the employment of people with mental health needs, available here, complement those in the more generic Top Tips on Supported Employment. Homecare, including supported living, is vital for people with care and support needs to live at home, yet it is the most fragile part of the social care market. 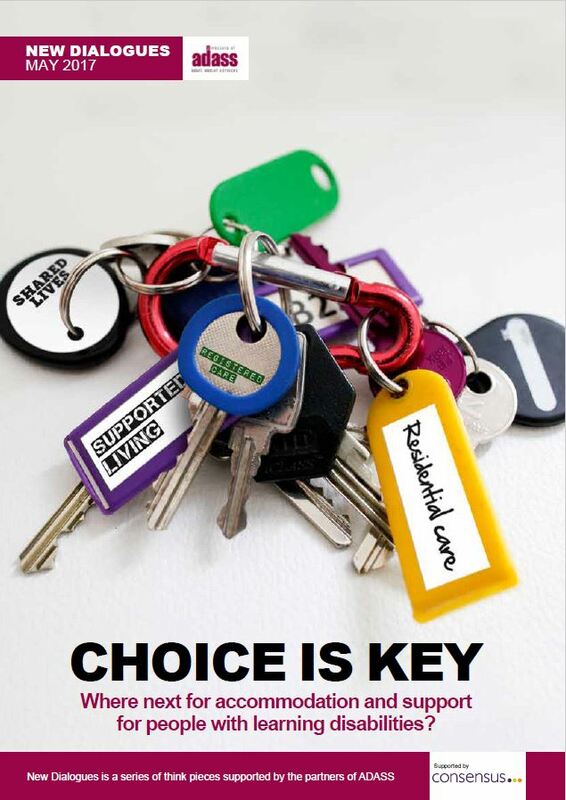 Both commissioners and providers are concerned about the sustainability of this part of the social care market.The 2018 Budget Survey of Directors of Adult Social Services found that almost a third of councils (48) had experienced the closure of one or more home care provider in their area in the previous six months with an impact on 3,290 people, and 44 councils had home care providers hand back contracts in the same period, with an impact on 2,679 people.To help address this, ADASS, the LGA and the United Kingdom Homecare Association (UKHCA) have worked together to jointly produce an updated top tips paper covering a number of issues common to care providers and council commissioners, with the aim of giving some pointers and practice advice on tackling practical aspects of the homecare market. In Summer 2017 the ADASS Care & Justice Network undertook a survey of all local authorities with prisons in their area to gain a picture of activity levels in 2016-17 so that an analysis could be undertaken of how things had changed from 2015-16, the first year of operation of Care Act provisions requiring local authorities to treat people in prison with an equivalence to those in the wider community.The survey also sought local authorities' views and experiences on a number of other issues relating to their working relationships with their prisons and the financial impact of providing these services.The report does not name any individual local authority or prison and is presented as a high level summary of the findings giving a broad overview of the state of play at that time. Enabling older people to live independently in the community for as long as possible is a goal with which few people, if any, would disagree. It is what we all hope will be the case for ourselves, for our loved ones and indeed for all older people. However if that is to become the case a one-size-fits-all approach will not suffice. Supporting independence for older people with care needs requires multiple solutions and approaches. This is why ADASS is pleased to bring you this think piece report, which has been made possible through sponsorship from Mears. The report examines the potential models and challenges of extra care housing. Local Authorities all have emergency planning arrangements in place and guidance exists to support authorities in the event of provider failure or similar emergency situations. 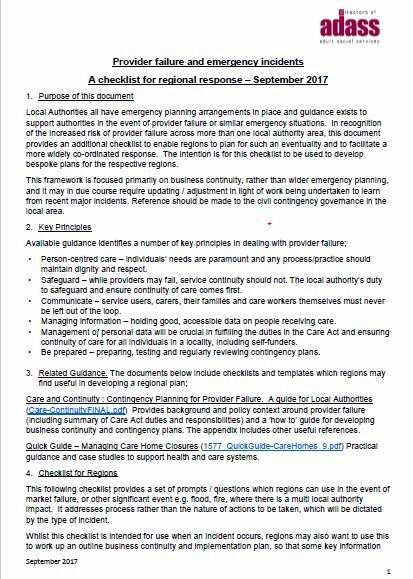 In recognition of the increased risk of provider failure across more than one local authority area, this document provides an additional checklist to enable regions to plan for such an eventuality and to facilitate a more widely co-ordinated response. The intention is for this checklist to be used to develop bespoke plans for the respective regions.This framework is focused primarily on business continuity, rather than wider emergency planning, and it may in due course require updating / adjustment in light of work being undertaken to learn from recent major incidents. Reference should be made to the civil contingency governance in the local area. 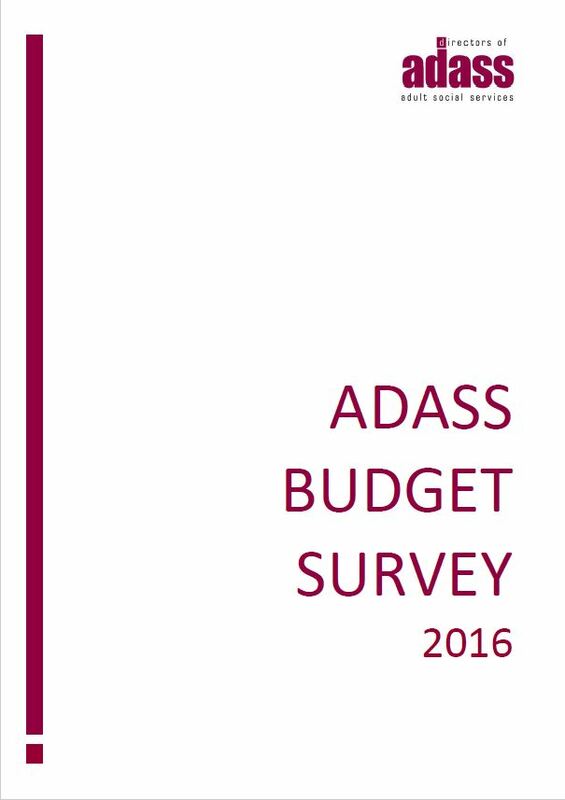 The annual ADASS Budget Survey is the authoritative analysis of the state of adult social care finances in England. The data and analysis are drawn from the experiences of current leaders in adult social care. It provides contemporary, in-depth intelligence on how adult social care is responding to the multiple challenges of meeting increased expectations and need, whilst managing resources in an environment where Local Government funding is reducing, the provider and labour markets are fragile and the impact is affecting, and affected by, what is happening in the NHS. When an NHS or independent hospital service or facility closes at short notice, it is important that all parties take action in a timely way. 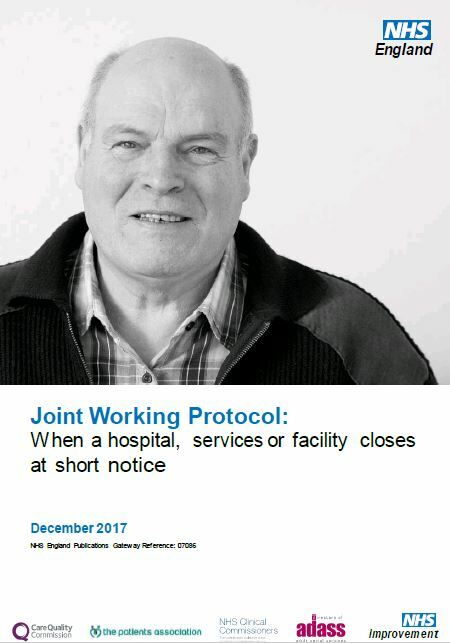 Organisations should work together to prevent the closure of services however, on occasions where this is not possible the following memorandum should be used. Such closures may be as result of actions by the CQC, for example voluntary closure in response to an adverse inspection or cancellation of the location’s registration, or due to the sudden inability of a provider to continue providing a service from a specific location for some other reason. 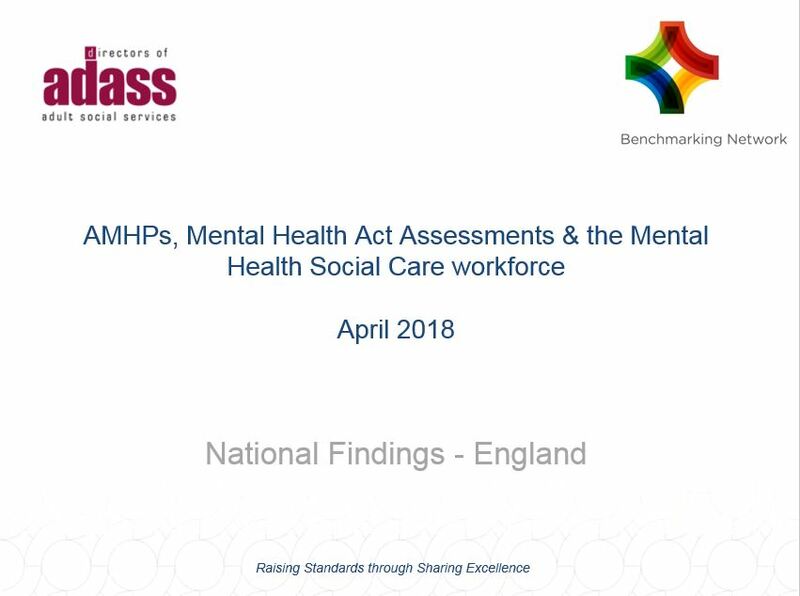 Recent examples of this have included the sudden closure of a mental health hospital requiring alternative provision for the people using services or there may be occasions when specific specialist services cease at a particular location. These could be inpatient or outpatient. This Joint Working Protocol clarifies the roles of partner organisations and is intended as guidance with which organisations can work together and in accordance with the four principles.Please see below to download the full document. Plenty of change is afoot in how care is delivered to older people in their homes. 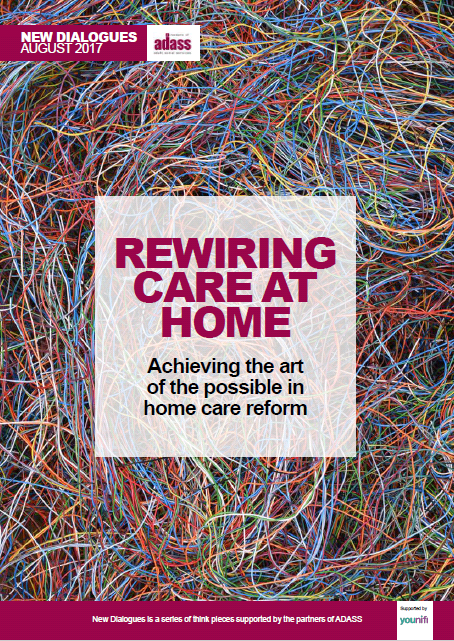 The Better Care Fund, the Care Act, the personalisation agenda and the adoption of new technology are all driving this activity but there is also growing evidence that progress is being stifled by traditional thinking about how home care should be delivered. 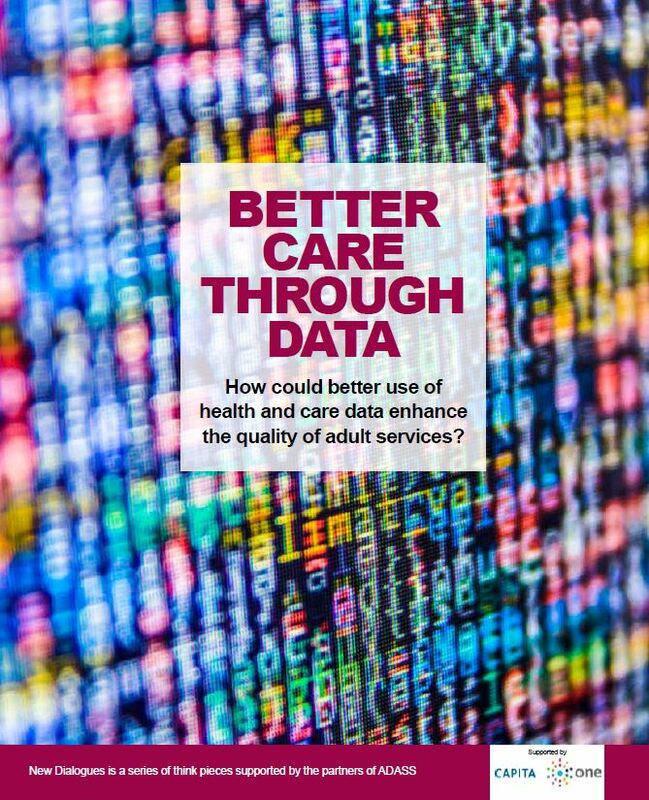 How could better use of health and care data enhance the quality of adult services? To find out more about in-year pressures on council adult social care budgets, ADASS circulated a short survey to all 152 directors in England. The survey was open for two weeks in September 2017 and 105 (69%) directors responded. There was a good spread of responses across all nine local government regions. 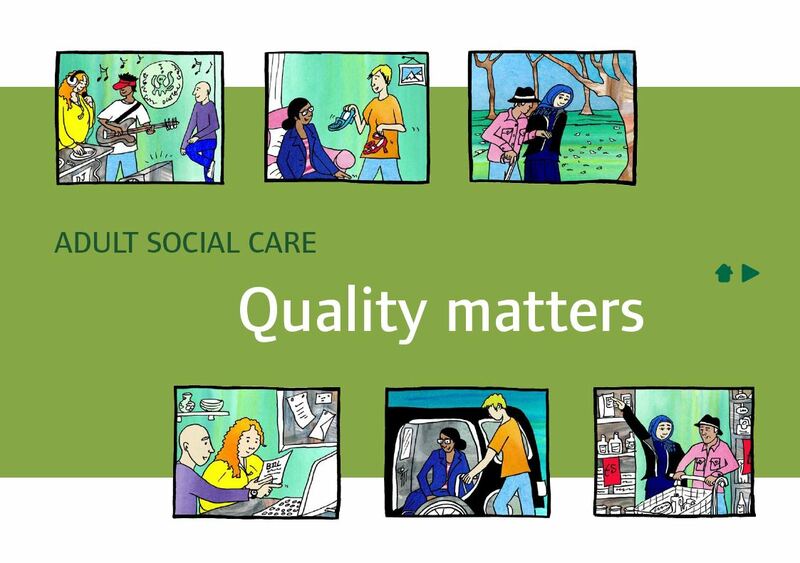 The quality of adult social care matters. It matters because people who use services should be able to expect personcentred care that is safe, effective, caring and responsive. This care should be supported by good leadership and sustained by good use of resources.This document sets out a shared commitment to high-quality, personcentred adult social care. It has been produced to make a difference in care services by working across the sector with people who use these services and their carers. Since the implementation of the Care Act 2014, personalisation has become part of the mainstream of adult social care, with rights to personalised care and support enshrined in law. 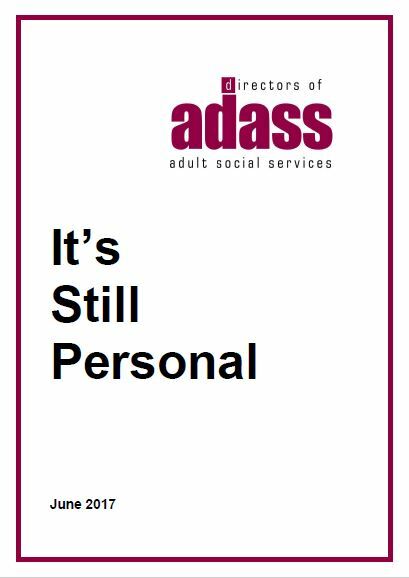 Having worked with users, carers and partner agencies to implement personalised social care across England since the publication of Putting People First in 2007, ADASS has been a champion of personalisation since its inception. This paper considers developments in personalisation and how it is operating in the current climate. 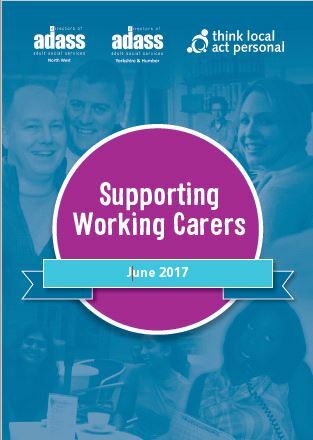 This report highlights the business case for supporting working carers and the top tips give practical suggestions which employers can put in place to make sure employees are well supported.The reports were produced by TLAP in collaboration with the ADASS Yorkshire & Humber and the North West regions, alongside working carers, carers groups and centres, businesses, employer and employee representative organisations and health and social care partners. 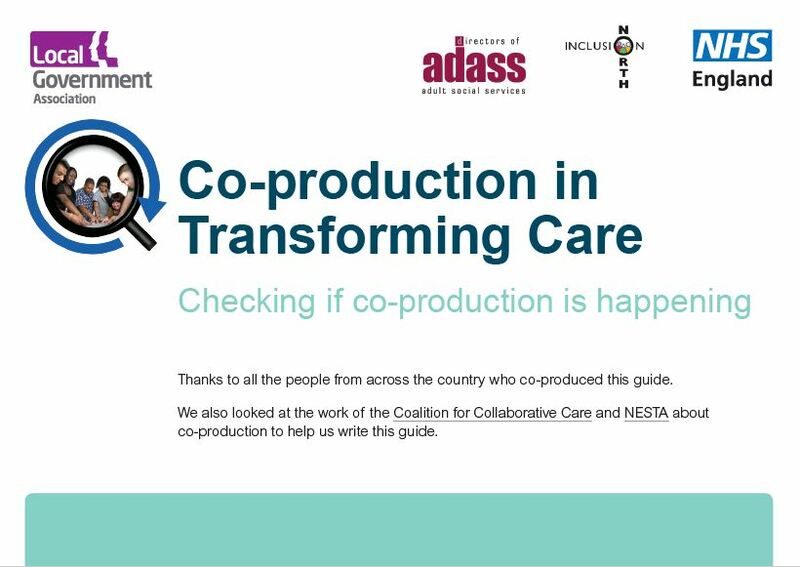 This guide is all about co-production.It is to help people involved in the Transforming Care work (like Transforming Care Partnerships) to see if co-production is happening. 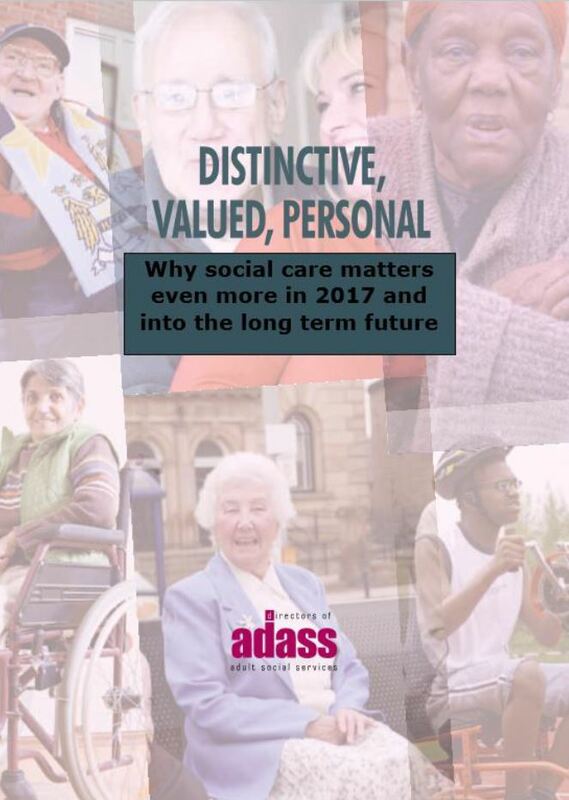 ADASS has worked with our sector partners; the Care and Support Alliance, Care Providers Alliance and NHS Confederation to highlight the essential nature of social care and the issues facing older and disabled people who need care and support and their carers for parliamentary candidates and the new government. It can be used locally as well as nationally by members, providers, voluntary and community and NHS organisations to clarify what social care does and its importance, now and in the future. Social care has the power to transform lives. It provides care, support, and safeguards for those who have the highest level of need, and for their carers. Nearly two million people in England rely on these essential services and around 6.5 million carers provide support alongside and beyond formal social care. Social care contributes £43 billion to the national economy in direct and indirect costs...Please see below to download the full document. 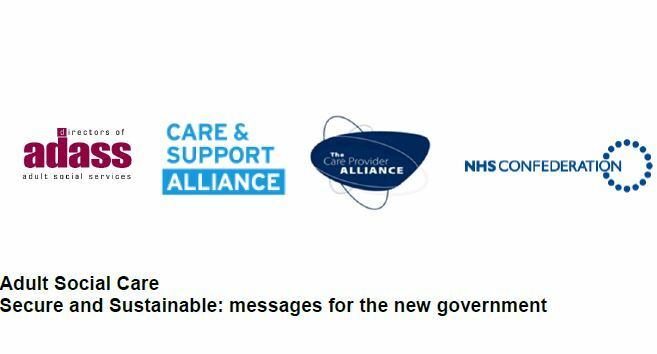 New Dialogues - May 2017 - Driving stability and innovation in the adult social care market. New Dialogues - May 2017 Where next for the accommodation and support for people with learning disabilities? 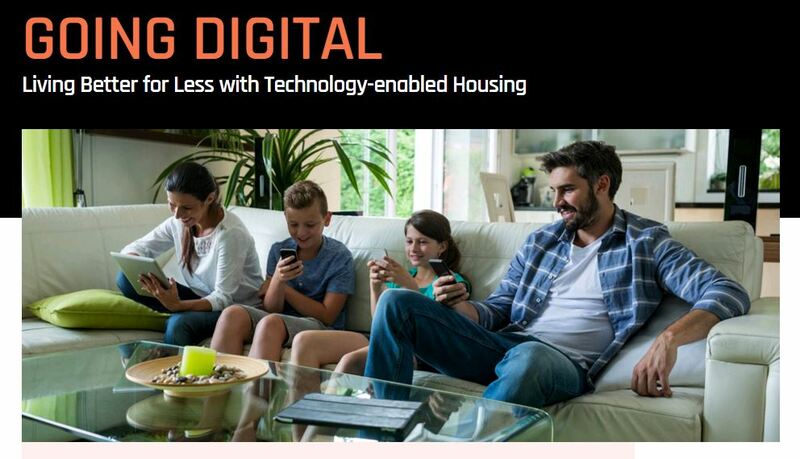 The Association of Directors of Adult Social Services (ADASS) has launched a new online resource to help both Directors and councils more broadly better understand and incorporate emerging digital solutions to housing support. 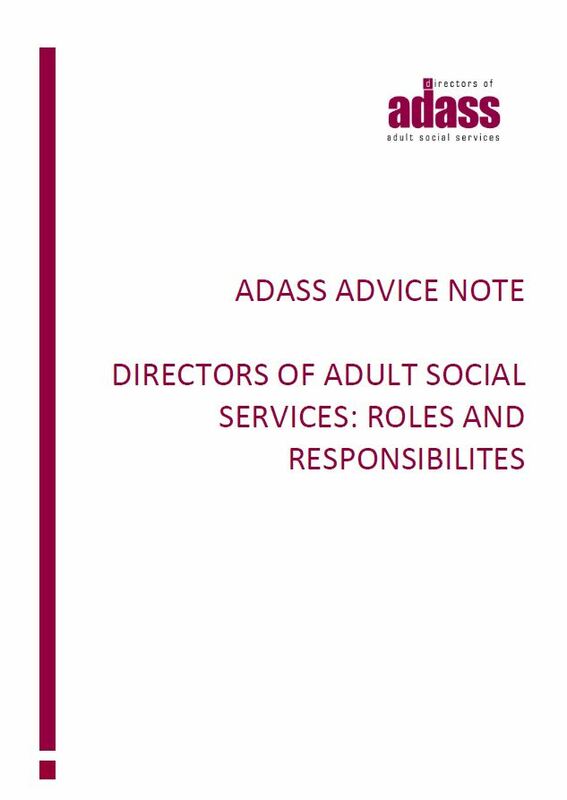 An interactive toolkit introduced by Linda Sanders, ADASS Technology Lead, detailing results of research into how assistive technology can support the areas of most concern to directors of adult social services, including detailed practice examples. 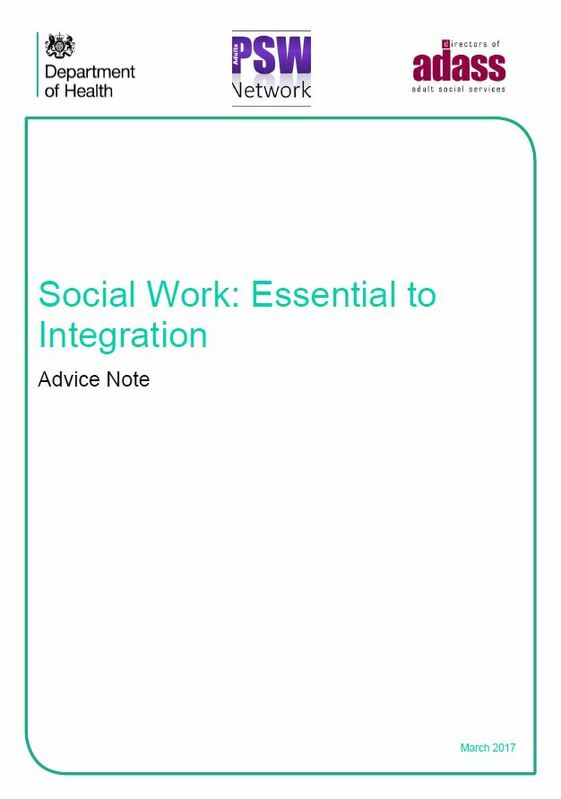 Social work is essential to integration, which is the stipulation we have made in a new Advice Note we have published today in conjunction with the Chief Social Worker for Adults, the Principal Social Worker Network and the Department of Health.The guidance - for all social workers and councils, including senior managers and Directors of Adult Social Services – aims to support the social model and social care alongside health care and treatment.Social work enables people to be included in work and communities. Social workers safeguard people’s rights when compulsory admission or treatment is being considered, when people cannot make decision for themselves and are at risk of losing their liberty, or when they are being abused or neglected. Social care provides care, support, and safeguards for those people in our communities who have the highest level of need and for their carers.Good care and support transforms lives, helping people to live good lives, or the best they can, in a variety of circumstances. It enhances health and wellbeing, increasing independence, choice and control. It is distinctive, valued, and personal. 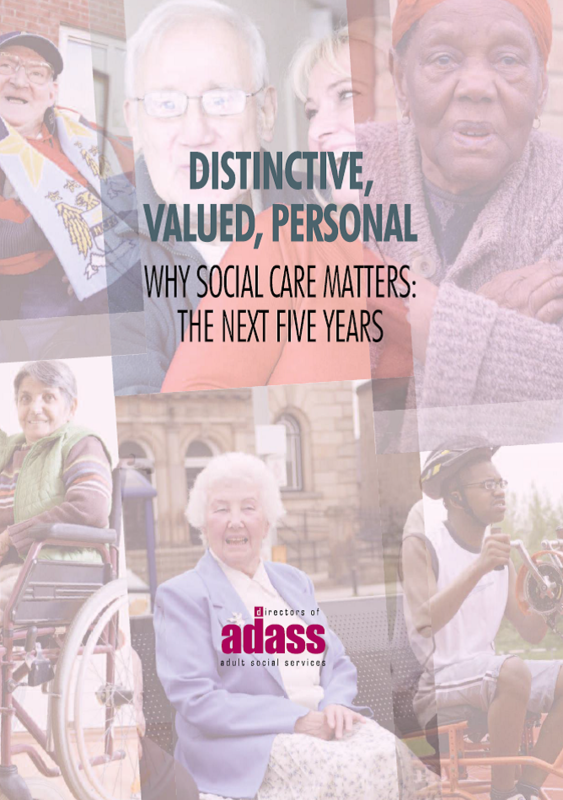 This document sets out the key functions of adult social care and social work, the things that make it Distinctive, Valued, and Personal.In 2015, David Pearson, the then ADASS President, introduced the first edition of this paper: ‘Distinctive, Valued, Personal: Why Social Care Matter – The next five years’ ADASS’ key statement about adult social care and social work. CIPFA and the Association of Directors of Adult Social Services’ (ADASS) have developed an advisory risk assessment tool [PDF, 87KB] for discretionary use by councils with adult social care responsibility. The aim is to check whether unsustainable financial pressures might be faced by the adult social services department. By assessing the extent to which various risk factors apply, the tool gives a broad impression of how challenging it is likely to be to generate future savings. 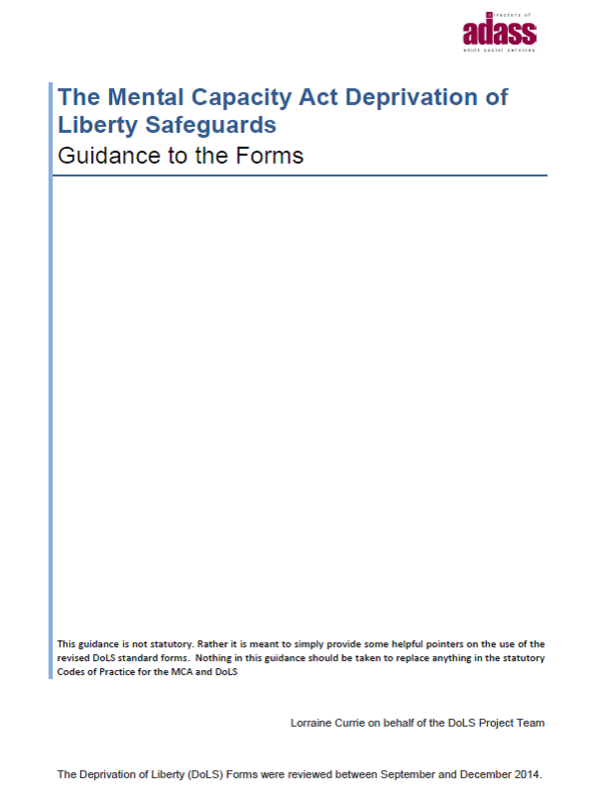 This is a fact sheet for use in situations where there is a Standard Authorisation (From 5) of the Deprivation of Liberty Safeguards. It gives a brief summary of the rights of the individual once a council has decided somebody needs to stay in a care home or hospital and this has been recorded by a Standard Authorisation (Form 5). 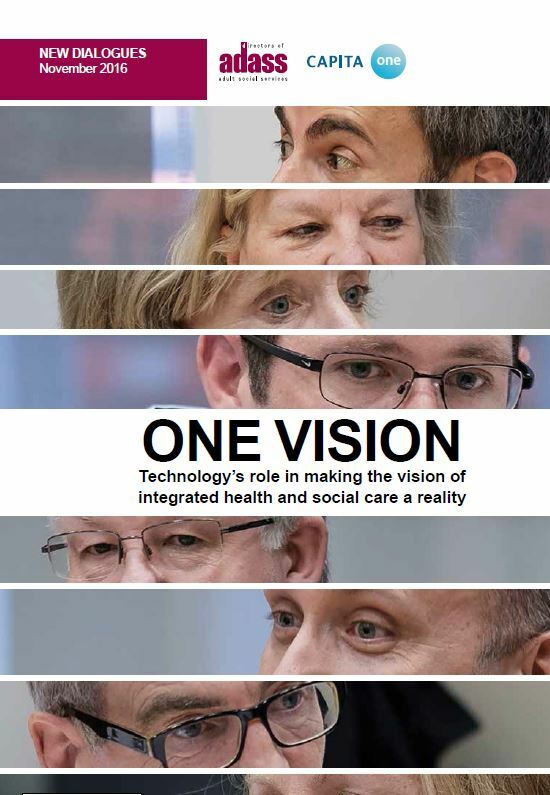 One Vision - Technology's role in making the vision of integrated health and social care a realityTechnology could play a big role in the integration of health and social care but what is needed to realise its potential? 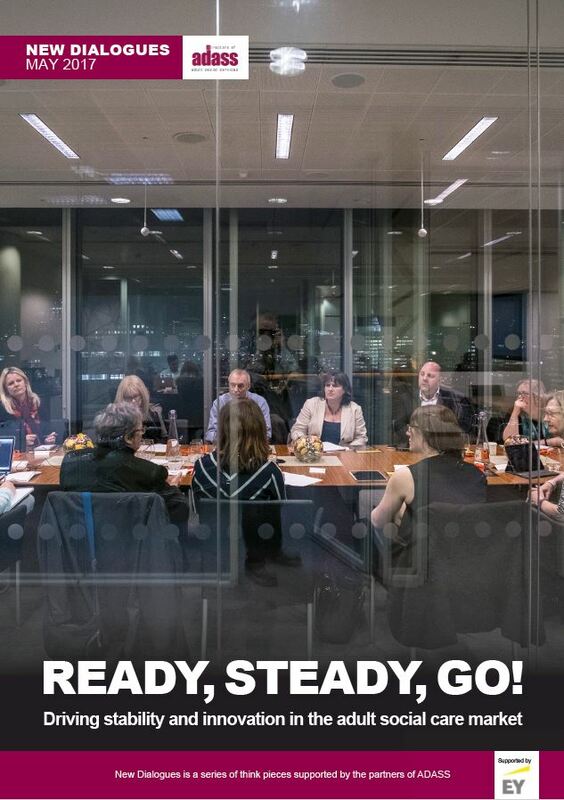 ADASS and Capita One brought together seven directors of adult social services for a roundtable discussion in London to find out. This report has been jointly published by ADASS, The Prison Reform Trust, The Centre for Mental Health, and the Education Policy Institute. 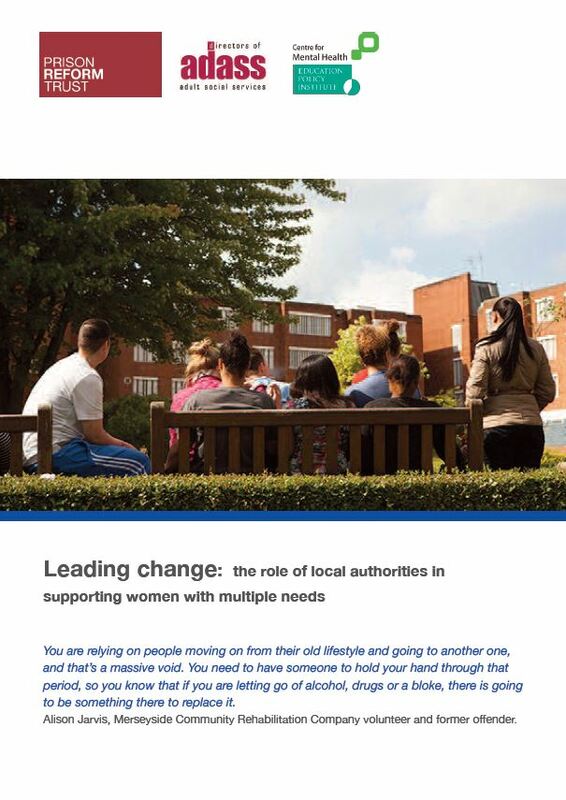 The report aims to highlight the role of local authorities in supporting women with multiple needs. We are very pleased to introduce this important piece of development work which ADASS commissioned earlier this year. 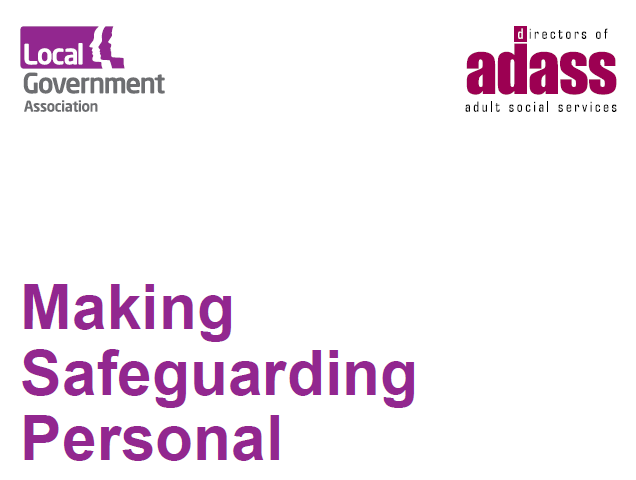 Safeguarding adults at risk of abuse or neglect is one of the most important things that Social Services and their partners do and remains one of our top priorities at ADASS. 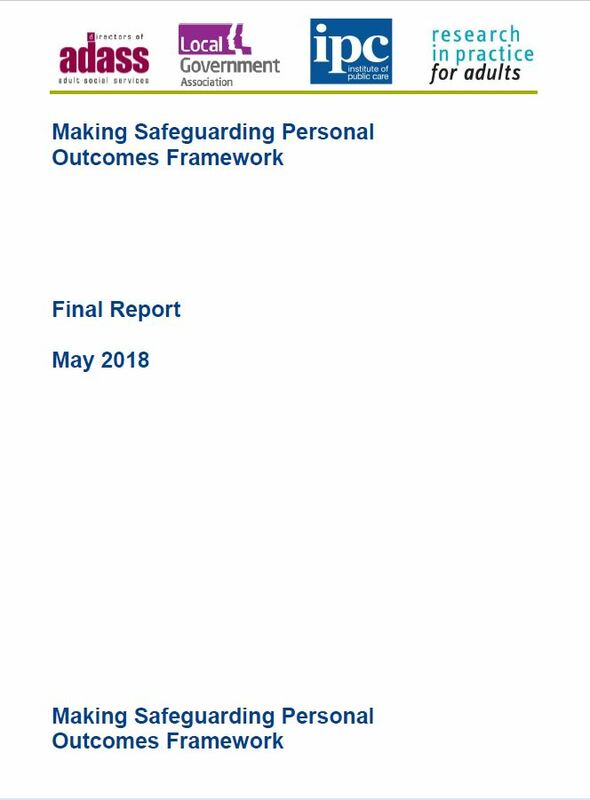 We have championed the person-centred and outcomes focused approach that is Making Safeguarding Personal (MSP) for a number of years and wanted to check on its progress as well as to help and encourage people to embed it within their authorities and with their boards and partners. 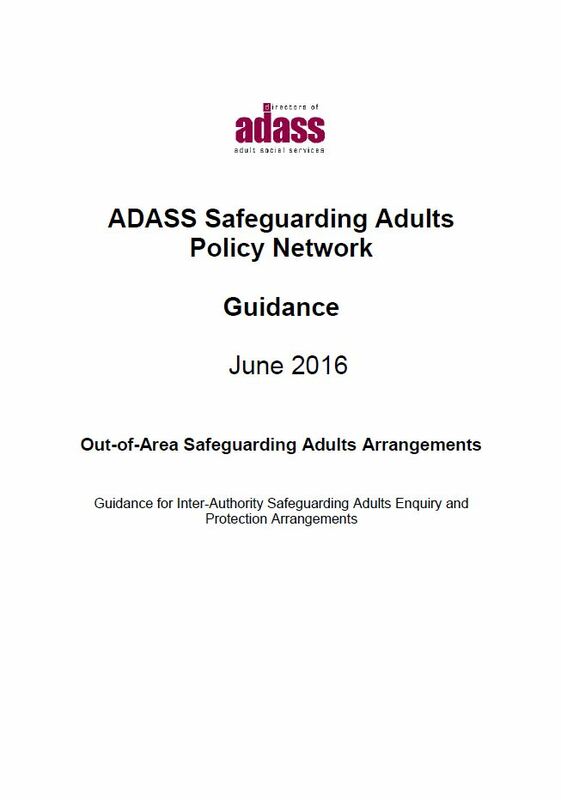 This Out-of-Area Safeguarding Adults Arrangements guidance was produced by the ADASS Safeguarding Adults Policy Network, in June 2016. 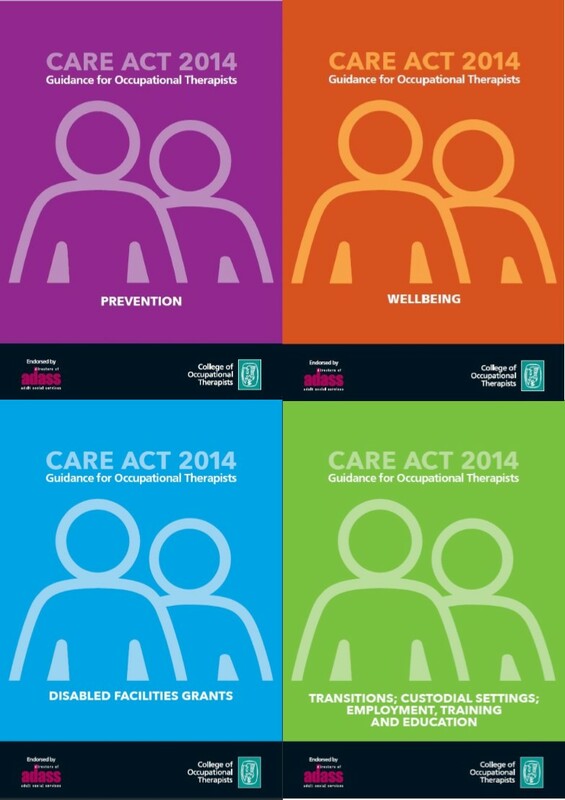 It is guidance for Inter-Authority Safeguarding Adults Enquiry and Protection Arrangements. The annual ADASS Budget Survey is an authoritative analysis of the state of adult social care finances drawn from the experiences of current leaders in adult social care. It provides in-depth intelligence on how adult social care is responding to the multiple challenges of meeting increased expectations and need, whilst managing reducing resources in an environment where the provider and labour markets are fragile.Please see here to download the full report and key messages for the 2016 ADASS Budget Survey. Transitions; custodial settings; employment; education and training. The National Complaints Managers' Group (NCMG) is a forum representing professionals delivering complaints, dispute resolution and associated functions in Adult Social Care, Children and Families Social Care and Education within local authorities in England. NCMG views complaints and complaints handling as more than just a channel for communicating dissatisfaction. We consider it to be a dynamic process which creates opportunities for effecting positive change across the organisation and rippling into the person experience of its customers. 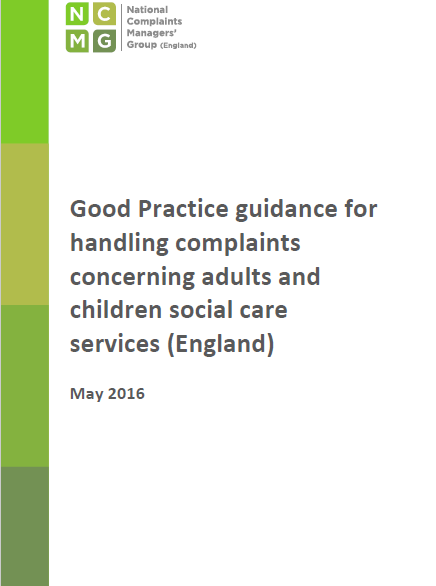 In pursuit of this philosophy NCMG have developed the good practice guidance seen below, for officers within the complaints' profession, operational staff and managers of social care services. This is the ADASS Business Plan for 2016/17. Agreed by the ADASS Executive Council on 16 June 2016. Bringing together health and social care has been a constant and dominant policy theme for many decades, and many places around the country are already demonstrating the potential to do things differently. We – the Association of Directors of Adult Social Services, Local Government Association, NHS Clinical Commissioners and NHS Confederation – believe, however, it is time to change gear. Making Safeguarding Personal (MSP) is a sector led initiative which aims to develop an outcomes focus to safeguarding work, and a range of responses to support people to improve or resolve their circumstances. It is about engaging with people about the outcomes they want at the beginning and middle of working with them, and then ascertaining the extent to which those outcomes were realised at the end. The work is supported by ADSS, the LGA and other national partners. The programme reports to the Towards Excellence in Adult Social Care Programme Board. Those responsible for public engagement by councils have difficult decisions to make as to where to focus their time and resources. Yes, we know that digital public engagement is part of the solution, but what exactly brings greatest benefit in the short, medium and long term? Service redesign made possible by investment in digital solutions promises an efficient and effective response which both meets the duties of the Care Act 2014 and helps address the issues from rising demand and expectations. However, there are many possible pitfalls for the unwary. A robust and well-argued business case should help steer councils away from those pitfalls and towards solutions that are appropriate to their local environment. 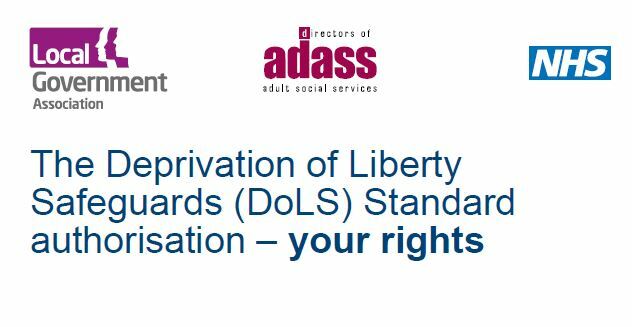 ADASS provide the following guidance to Councils in their role as supervisory body for the Mental Capacity Act Deprivation of Liberty Safeguards (please download below). A revised full set of the DoLS forms are now finalised. These changes reflect some of the comments received but more importantly have been reviewed following the AJ v A Local Authority judgement, please see summary.